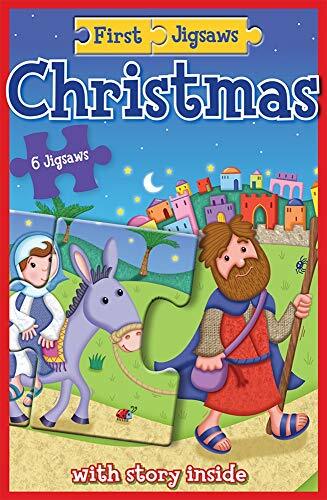 Develop storytelling skills with this Christmas addition to the <i>First Jigsaws</i> series. Each episode of the story is divided into puzzle shapes so children have to piece together the jigsaw strip to find out what happens in the story. Each puzzle has four three piece jigsaws and one six piece jigsaw. The pieces are also numbered to help them learn counting as well. The puzzle is accompanied by a little booklet which tells the story - in the right order!